The apartment was perfect and had everything we needed except washcloths. Loved the extra touches as the heating blankets on the bed, the clothes drying rack, laundry soap and maps/brochures of the city and things to do. Ken, the owner, contacted us prior with all the needed information to access the property and where to park. Excellent value. Apartment was extremely clean!! Would highly recommend staying here. We visited New Zealand for three week’s so having the ability to do some laundry was greatly appreciated. Spacious and all requirements provided. Host stayed in touch to make sure we gained access without any problems. 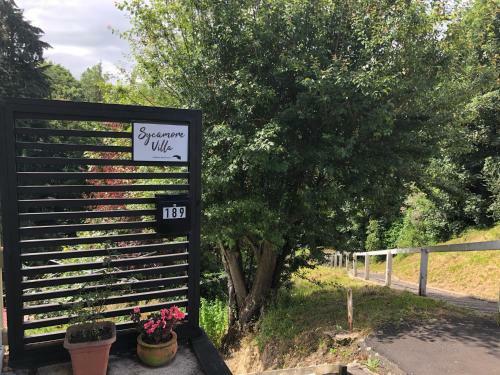 Didnt get to meet the owner as he was away on business but he was most helpful on the phone and texted to ensure everything was ok. Really nice little house, good facilitites (everything you would need). We stayed here as my son was visiting the university campus and this was ideal location - 5 minutes into town. Location was close to CBD, casino, Speihts Ale house but too hilly for us to walk. We had a car. Convenient shopping centre short drive away at Mornington. Villa suited all our needs and the host was very caring and friendly with lots of local knowledge. Bathroom and shower was modern and great to have a washing machine available to us. 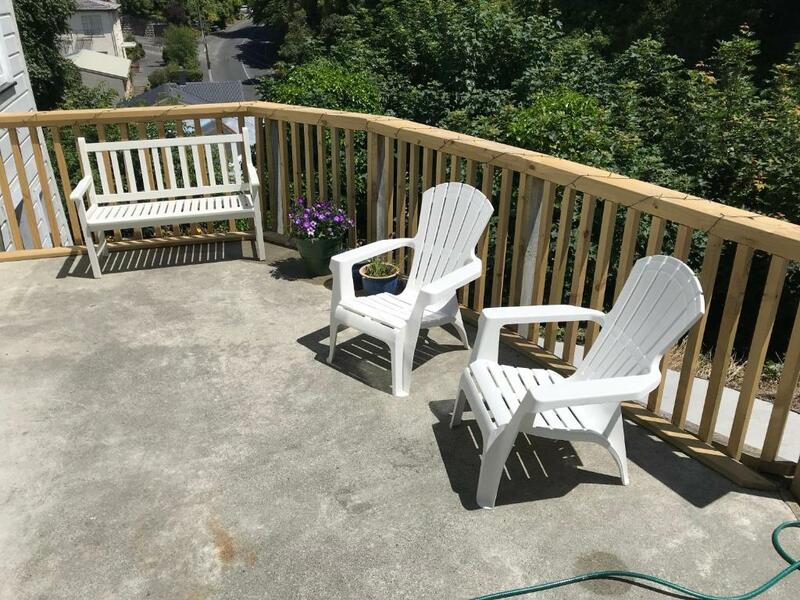 We enjoyed sitting on the deck in the sunshine with a glass of wine. Peaceful. Fabulous location, very clean, spacious and comfortable bedrooms and good kitchen. Great value for money. Lovely apartment. Clean, warm and comfy bed. Great decor. Fantastic setting. Relaxed atmosphere. The villa was so cute, it had everything you could ever need. We were only there for a short time but was so sunny on arrival, it felt very welcoming. One of the cleanest places I've ever stayed in. 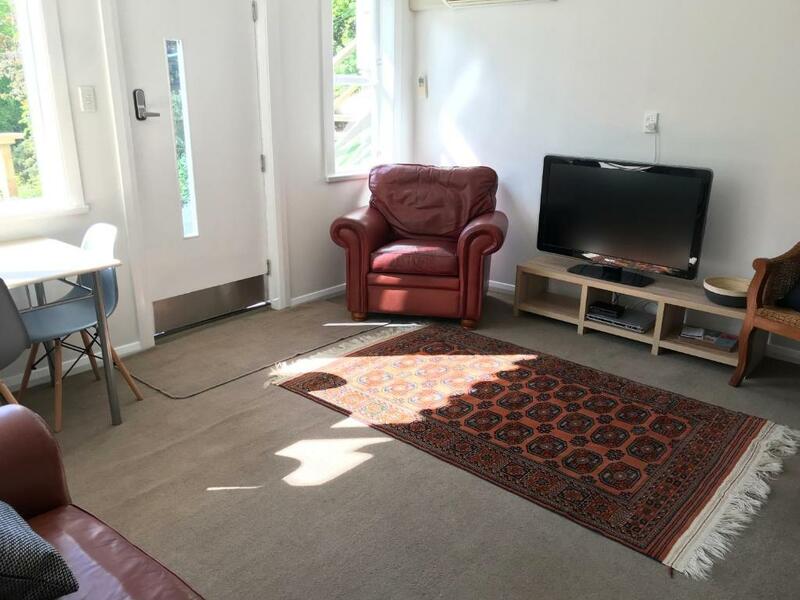 We rent a Bach in kinloch Taupo each year and pay an extra $100 for a cleaner, it still feels unclean after she's been, unlike this villa. Cozy apartment, clean and comfortable. Friendly hosts. We enjoyed our stay here. Very friendly staff and helpful, including give me the advice of the travelling nearby. 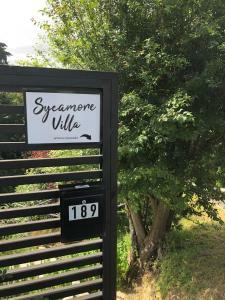 Lock in a great price for Sycamore Villa, 2 bedroom apartment – rated 9.5 by recent guests! One of our best sellers in Dunedin! 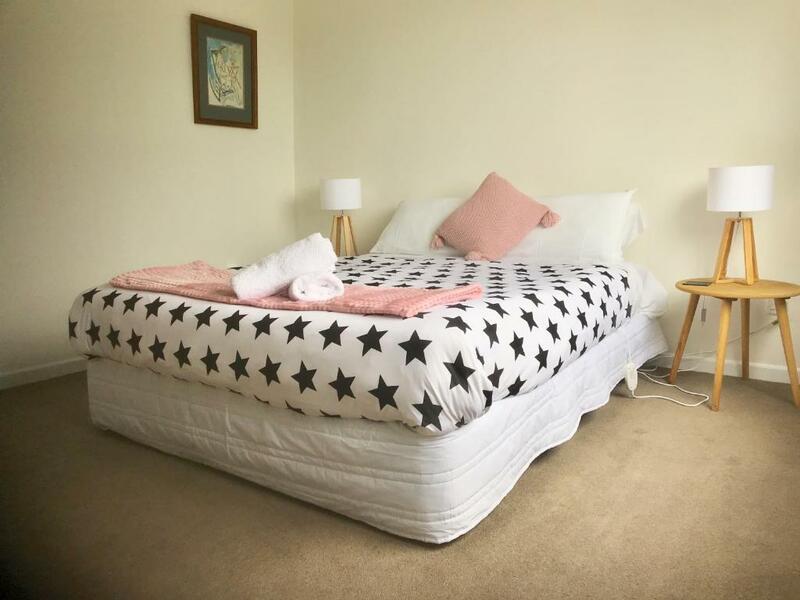 Featuring garden views, Sycamore Villa, 2 bedroom apartment provides accommodations with a terrace, around 1.2 miles from Toitu Otago Settlers Museum. 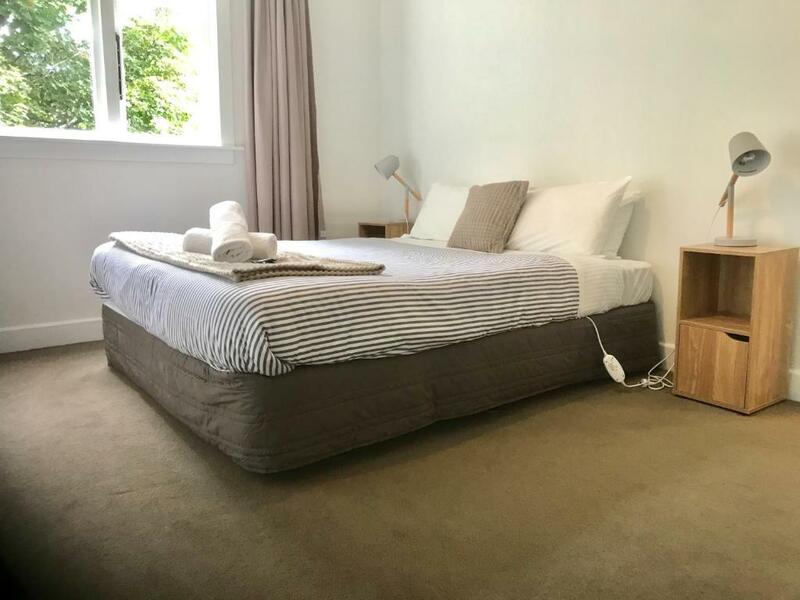 The air-conditioned property is 2.2 miles from Otago Museum. This apartment comes with 2 bedrooms, a flat-screen TV, a dining area, a kitchen and a living room. The apartment also includes a seating area and a bathroom. Forsyth Barr Stadium is 2.4 miles from the apartment, while The Octagon is a 16-minute walk from the property. Dunedin Airport is 17 miles away. 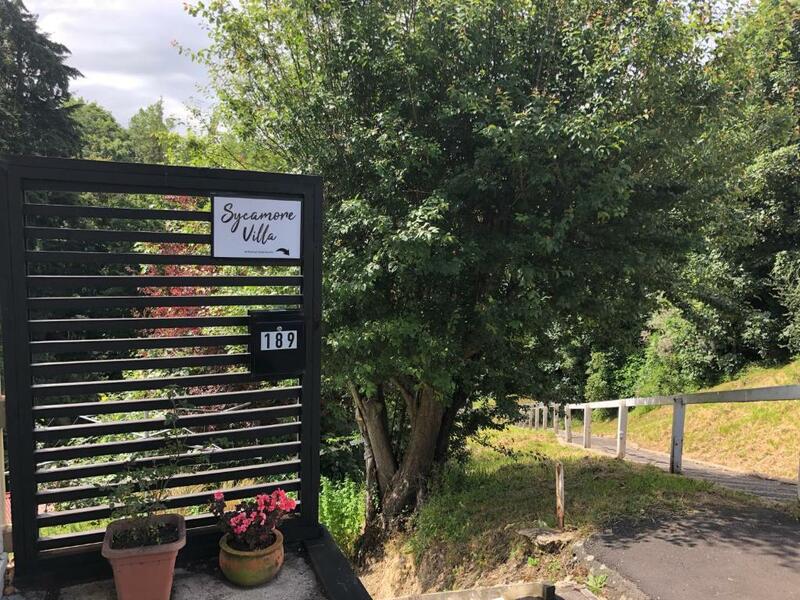 When would you like to stay at Sycamore Villa, 2 bedroom apartment? This apartment has a washing machine, dining area and balcony. Please note, there are 12 steps to get down into the apartment. 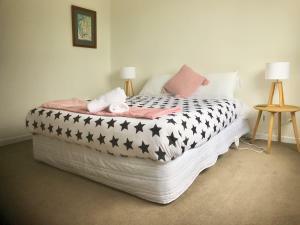 House Rules Sycamore Villa, 2 bedroom apartment takes special requests – add in the next step! 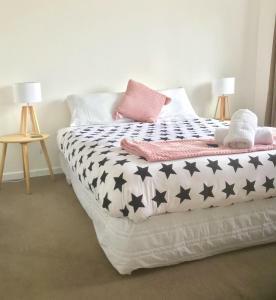 All children under 12 years are charged NZD 5 per night for extra beds. 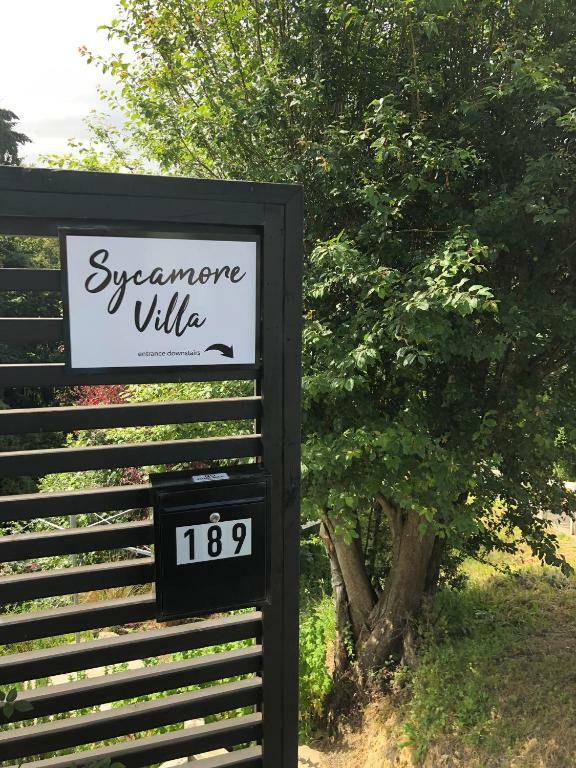 Please inform Sycamore Villa, 2 bedroom apartment of your expected arrival time in advance. You can use the Special Requests box when booking, or contact the property directly using the contact details in your confirmation. Good communication. Helpful friendly anf welcoming Easy booking and payment. The house is at lower steps from the street. The street in front of the house so steep and the parking is anywhere on the sideof that. The bed and room very cozy. The host’s very friendly and helpful. We can have cooking and washing here .Comfortable like being home.Love to stay. Parking a bit daunting - on a steep slope. Spotlessly clean. Spacious. Very good value for money. House is a bit cold and beds are soft. Good but nothing stand out. All the comforts of home. Great place we would definitely stay there again. Carrying heavy luggage up and down the steps. We were in a very convenient location. We loved looking out at the trees. It was good value for money. We loved walking around the streets and admiring the character houses and the area our mother grew up in. The villa provided just about everything we needed.